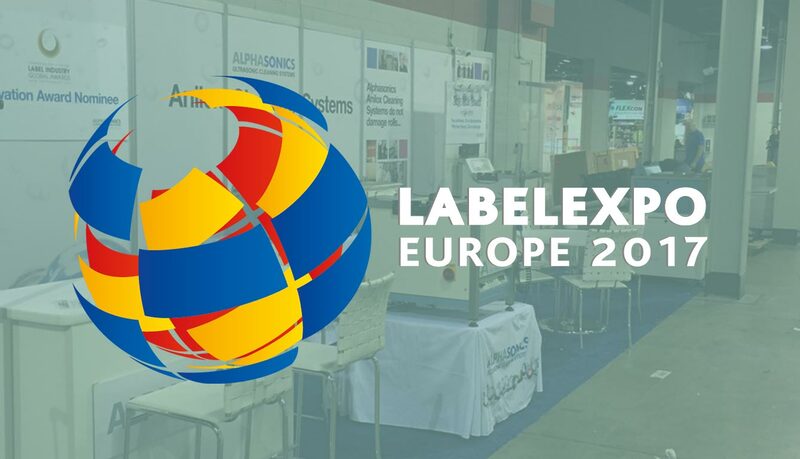 Alphasonics, the world’s leading supplier of anilox cleaning systems, will be presenting a number of new developments at this year’s LabelExpo in Brussels. Having once again improved their range of ultrasonic cleaning equipment, along with various add-ons and optional extras, Alphasonics aim to give users more control over the entire cleaning process. This is the 23rd consecutive year that Alphasonics will be presenting at LabelExpo. This time the company will be presenting the most comprehensive range of cleaning equipment that has ever been offered to the label printing industry. “We, as an industry, know the importance of the anilox roll in the flexography process. Therefore, it is an absolute necessity to ensure that it is in the best condition at all times. To us that doesn’t just mean cleaning the anilox rolls, but instead it’s about keeping control. Alphasonics latest developments include; monitoring systems, automatic anilox roll reversal for improved cleaning, storage systems and automatic chemical dilution. In addition, Alphasonics are proud to introduce their brand new chemical measurement system. This gives the user an accurate indication of their system’s fluid condition and consequently, when changing is required. This will allow the customer to manage their consumable costs more efficiently and will also ensure that they are getting the very best results from the system. Being able to control elements of anilox cleaning systems gives a number of clear benefits including; a vast reduction in waste, quicker set up times, as well as removing the need for mediums and pigment enhancers. Having complete control of the ultrasonic cleaning process has also proven to improve production quality and provide straightforward monitoring of anilox roller lifetime. “Controlling the cleaning system itself, we believe, is the first step to controlling the anilox. This in turn gives you control over the flexography process. There is a fine line between controlling the anilox roller and increasing profit, we’re looking forward to showing visitors to LabelExpo just how we can do that for them” Christopher Jones explains. Finally, to show the safety of an anilox roll within the ultrasonic cleaning system, Alphasonics will be running a live cleaning trial. At the opening of LabelExpo, Alphasonics will begin the cleaning of two 1200lpi rolls in a Megan ultrasonic cleaning system. This will run until the closing of the show three days later and will not stop at any point during this time. 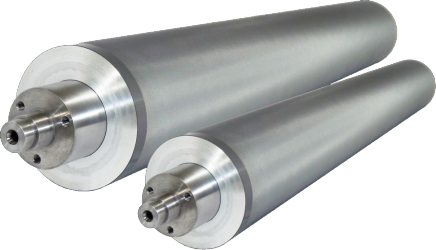 Alphasonics proposes to show that these cleaning systems will not damage a delicate anilox roll, which is often an issue in ultrasonic cleaning systems. The cleaning cycles will run for 79 hours, meaning over 900 cleaning cycles will take place, with the anilox rolls being tested for both volume and damage, before and after the show. Alphasonics will be streaming the trial live and uploading highlights of their LabelExpo show to YouTube upon completion. For more details about our machines, please visit our machines page or follow @AlphasonicsUCS on Twitter.